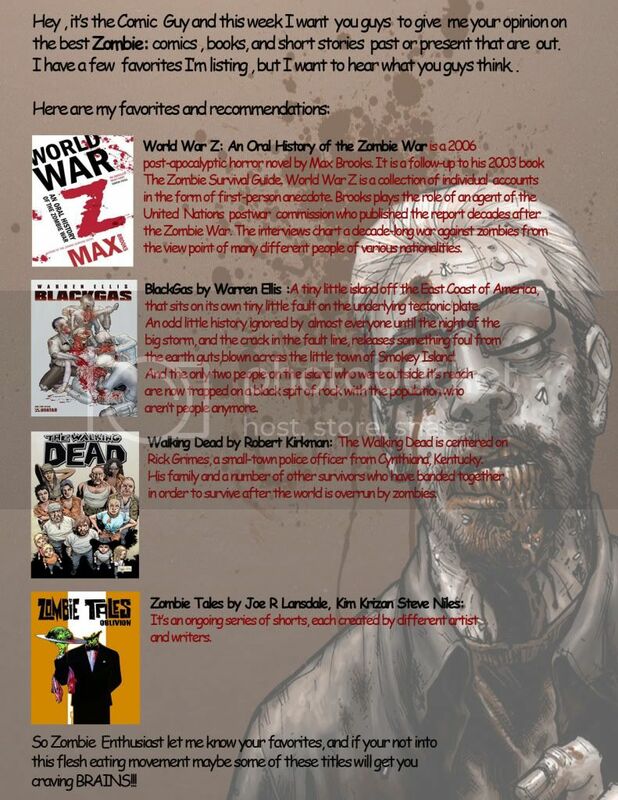 Check out picks for great Zombie Comics. If the picture is cut off, click on it to view it in the larger size. Let me know your choices in the comment section.